Not a bad day for a run. Although I have nor been training as hard as I should have, the time f0r the Windsor half marathon came very quickly. No excuses, no time to complain… I took my running shoes, monitor and some other bits an pieces and headed to Windsor. Perhaps it was too early on a Sunday morning… but as I said, no excuses. The weather had been a bit rainy and I was pleased to see that the day was opening up quite nicely. “Goldie locks weather for a run” -> not too cold, not to hot, just right. 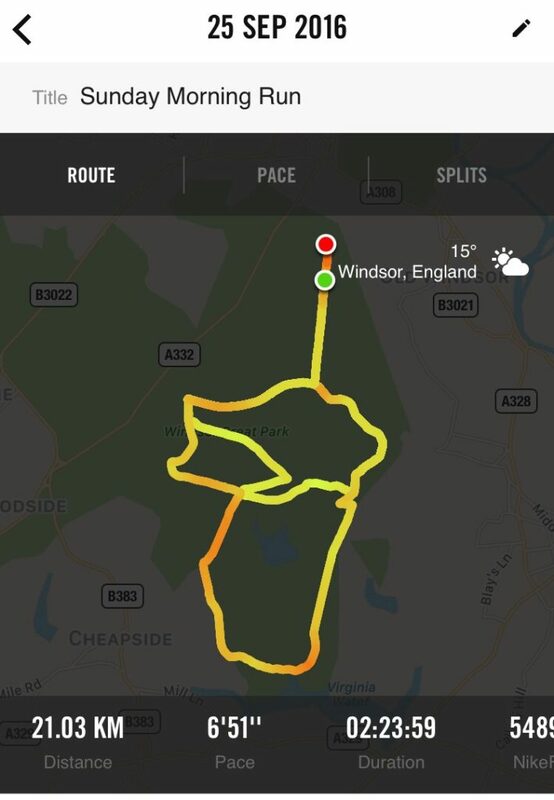 I am very pleased with my 2 hour and 23 minute time for the 13 mile race around Windsor Great Park… maybe next year I will train a bit harder! In the meantime, it’s time for a rest and perhaps some nice food.